Did Rebecca successfully make Josh think that she was cool? That was her plan on Crazy Ex-Girlfriend Season 2 Episode 2 when it became clear that Josh was looking for someone cool in his life. Meanwhile on this hilarious series, Greg navigated his way through a new path, but he was sorely tested by someone close to him who seemed to think he was setting himself up to fail. Use the video above to watch Crazy Ex-Girlfriend online to get caught up with the latest developments for the characters on this CW drama. I wanted to tell you myself, but I didn't know where you were. I got a single text from you and then you disappeared for a month. The funny thing is - and not haha funny, sad funny - the reason I got a DUI is because I was driving over the next morning to tell you that I loved you. But I blew my shot, and that's my fault. Life went on without me. And you and Josh? You should be happy together. You're happy, right? 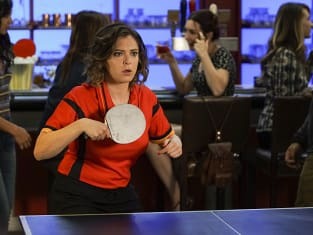 Crazy Ex-Girlfriend Season 2 Episode 2 Review: When Will Josh See How Cool I Am?